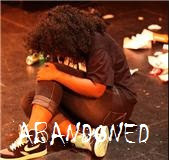 Images of Success is casting a role for their upcoming Stage Play named "Abandoned." They are seeking to fill the role ASAP for their September 25th production. You Must have some acting experience. Character: Jason (male, age 22-29) he loves the ladies, however when things are serious he finds a way to add humor. Please email photo and resume to imagesofsuccess@msn.com for audition details.